ISTANBUL (Armenpress) — Prominent Istanbul-Armenian linguist Sevan Nishanian, who was transferred to Sultanhisar Open Prison in September 2015, is again taken to the closed regime of the prison. 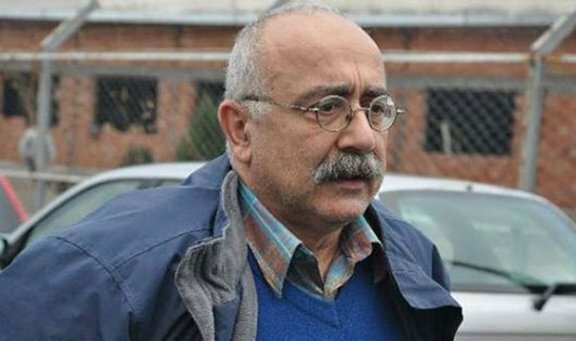 Nishanian’s advocate Murat Akcn told the Agos Newspaper that they are not aware of the reasons to take the linguist to closed regime of the prison. “True, Sevan Nishanian has been moved to closed regime prison, but no one knows what the reasons of such a decision are. I will try to find out on Sunday, when I visit him,” Akcn said. Nishanian, convicted for 11 years, has been in prison because of “construction infractions” since January 11, 2014. However, the media had stated that he was imprisoned because of publicly criticizing the Turkish Government. He always raised the issue of the Armenian Genocide in Turkey. Nishanian was transferred to Sultanhisar Open Prison on September 24, 2015 where the prisoners are under relatively mild conditions. Another victim of the lunatic Erdogan, the EU and US are scarred to death to confront the terrorist Erdogan.